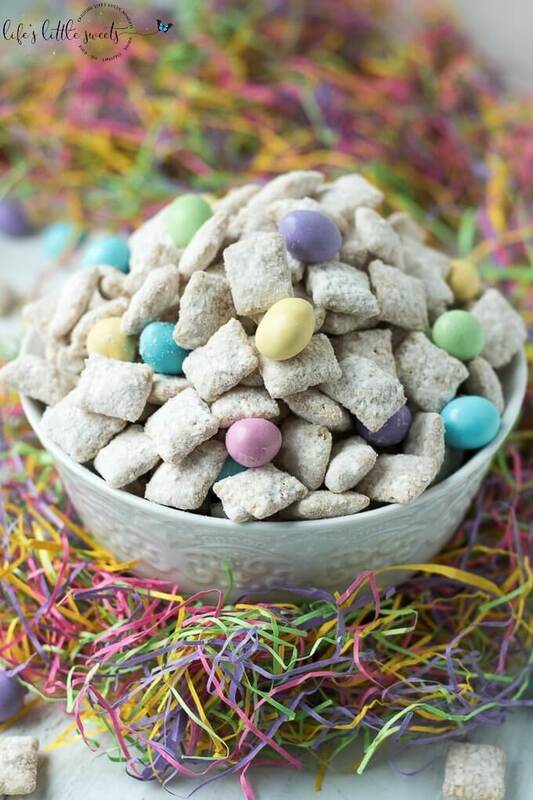 Easter Muddy Buddies Recipe - A Sweet Springtime Dessert Snack! 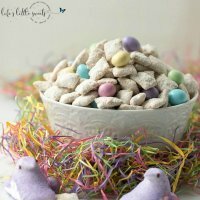 Easter Muddy Buddies Recipe: I am a contributor to Amanda’s Cookin’ and this recipe first appeared on there as Easter Muddy Buddies. Spring is here! 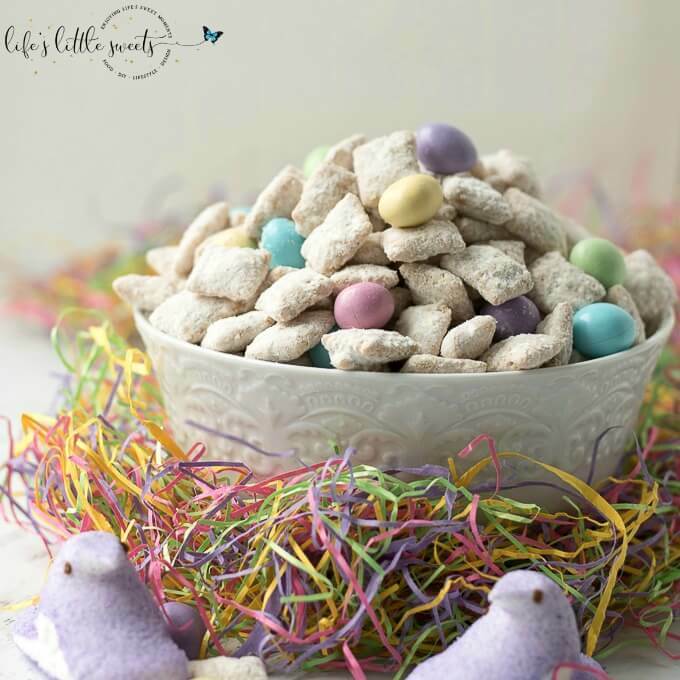 I have a timely Easter and Spring-themed dessert, snack for you: Easter Muddy Buddies Recipe. 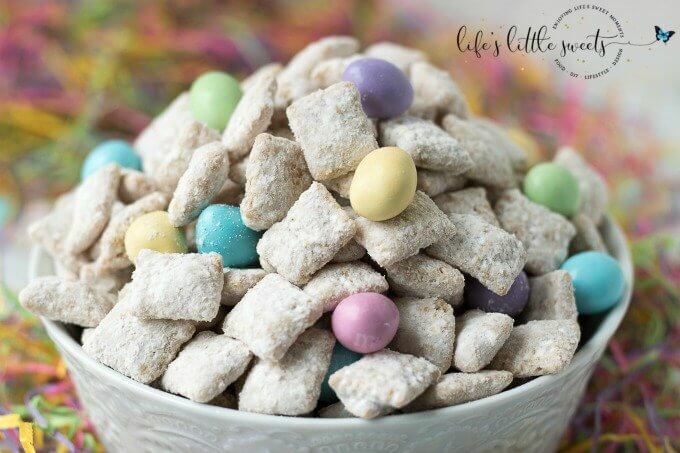 There are so many opportunities to make these this Spring, for example, teacher’s gifts, edible thank you gifts, family and church gatherings. Who wouldn’t want a cellophane bag of these goodies? 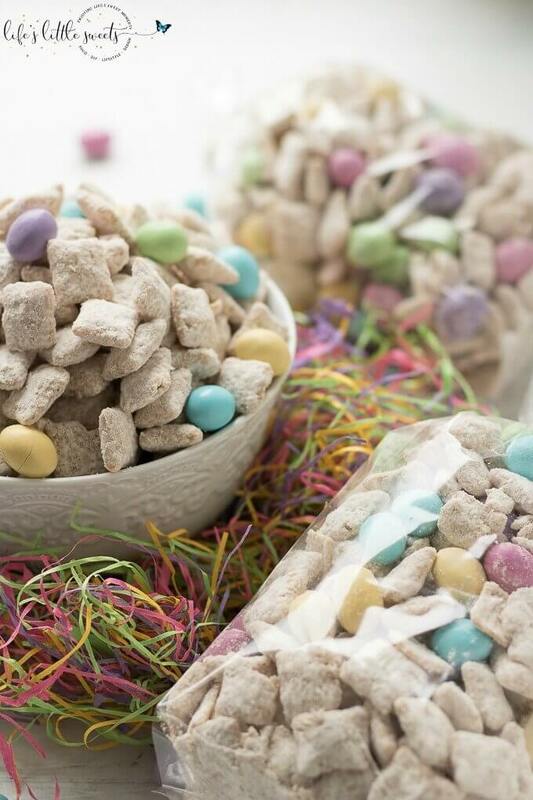 You can customize them with your favorite Easter-themed candy, my personal, favorite are pastel peanut M&Ms. I like them with this recipe because the peanut center goes well with the smooth peanut butter. The combination of peanut butter and chocolate is a dream! 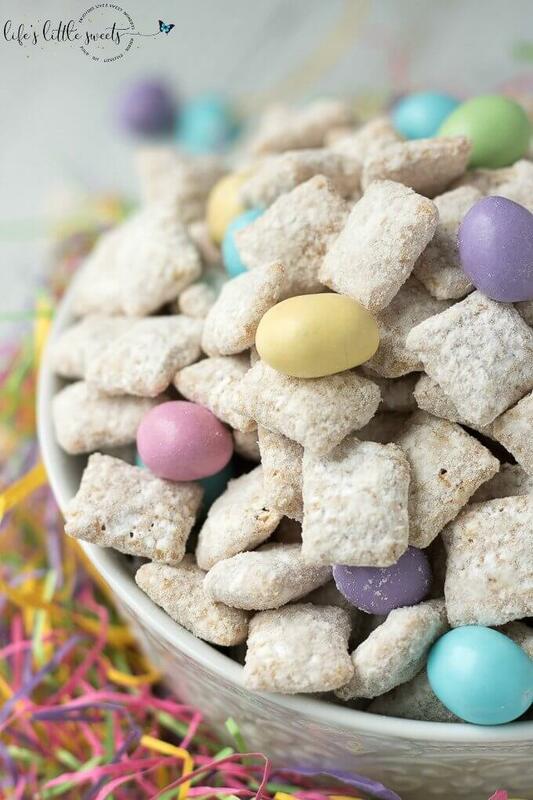 You get the sweet-salty combo that just makes you want to reach for more. Speaking of chocolate, this recipe uses white chocolate. 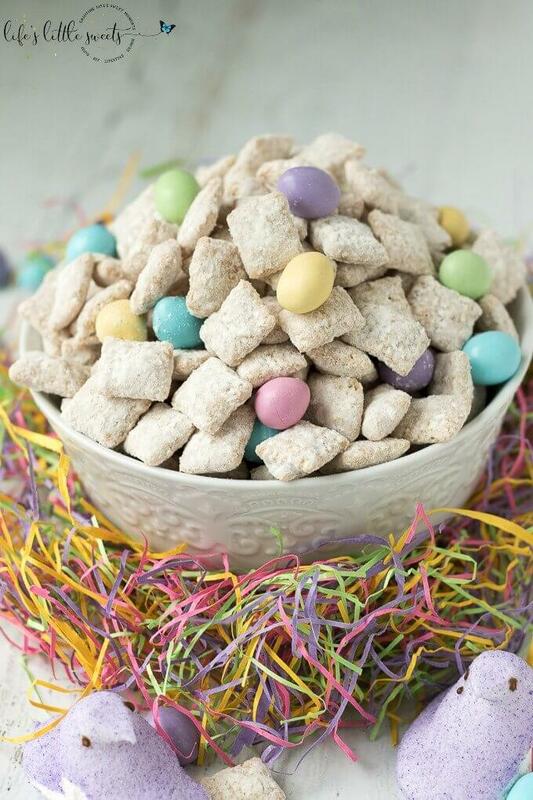 I chose white chocolate because it makes for a nice, pretty backdrop for those pastel candies and the combination of white chocolate and peanut butter is really good. I recommend trying to get the best quality white chocolate you can find. You can substitute the white chocolate for the same amount of milk, semi sweet or dark chocolate, if you prefer. 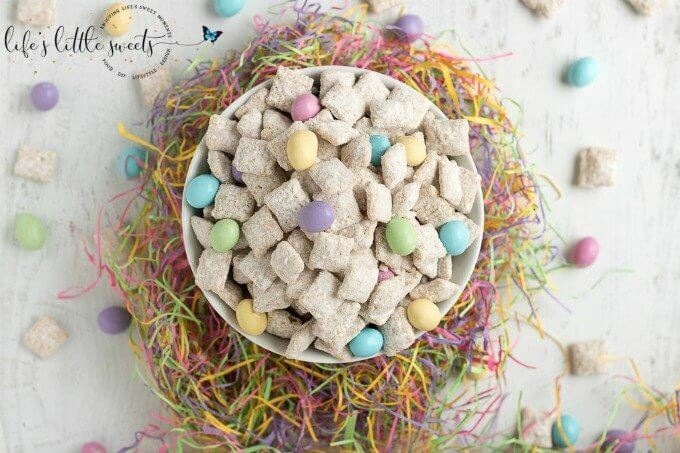 I know you will love this Easter Muddy Buddies Recipe!